The Thailand Chapter of CMT Association in collaboration with Thai Technical Analysts Association, eFuturesthai, KTB Securities and Top Trader invite you to The Battle of Lagging and Leading Indicators Seminar on Sunday, November 18, 2018. Please extend an invitation to colleagues and clients interested in Technical Analysis. Hope to see you there! 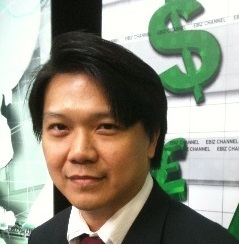 Presenter : Monchai Kongthanapakdi, President, Wealth Streams Futures Co.